A combination of concrete tees and stone block tees. Dual tees on all but three holes. 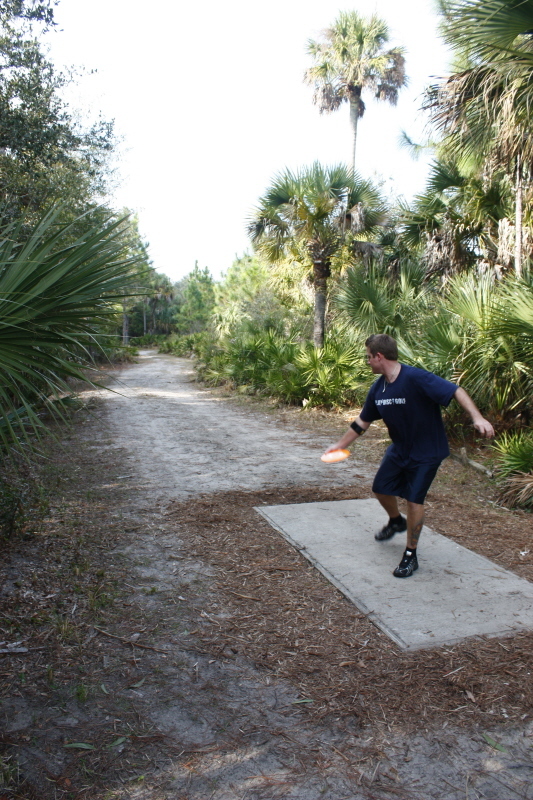 A mix of tight and open shots on this lightly wooded, palmetto-filled course. Palmetto roots in a few fairways can lead to unpredictable skips. Water in play on five holes, but no true water carries. Redesigned when the 33,000 sq ft rec center was built in 2013. I-75; exit 143 (Bayshore). Go west 5.2 miles to a right on Business 41, north 0.25 mile to park entrance on left. At the gate, make a right turn into the parking lot and park on the far end. The Pro tee is on the island in the parking lot and the AM tee is about 50' from the end of the parking lot. This is a fun course. 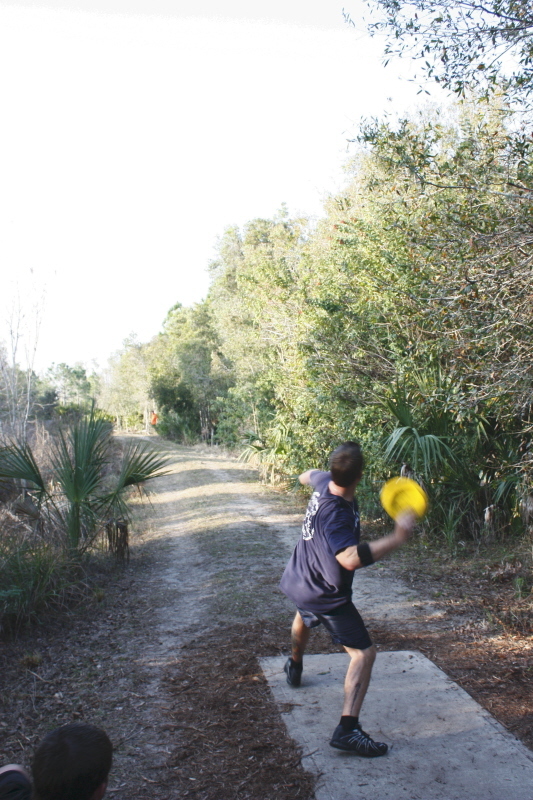 Easy to loose discs, get sliced up by palmettos and bit by fire ants. What else would you expect in sw florida. Holes are a little confusing, but fairways are kept short and baskets are rotated. This course has undergone big changes in the last two years as Lee County Park and Recreation has stepped up to help transform fairways from palmetto scrub wastelands into rustic fairways. The course shares the land with no less than a dozen gopher tortoises, so there are many holes that experience "alternate mowing patterns" that are planned by the county to maximize environmental health while creating a seasonal alternation between wide and narrow fairways. New but improved holes do to the new Rec center. Dirt bikes and four wheelers use the paths. Flat.. some baskets are on built up mounds. 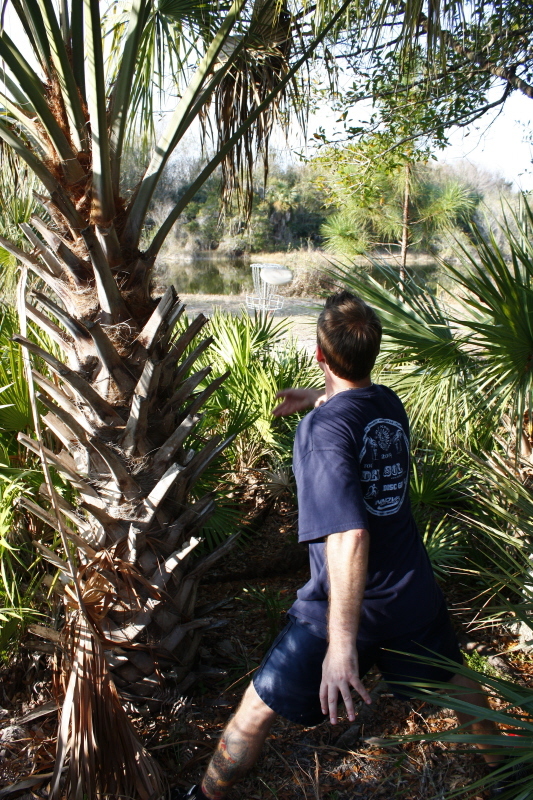 Don't be a wimp if you want your frisbee back; be ready for fire ants, saw palms and thorny vines. Benches and trash cans in some areas. Signage is not great but it's navigable. Pro and newbie cement pads. As of 08/05/12 the NFM course is getting a new rec center being built. The course is temporarily closed due to construction. 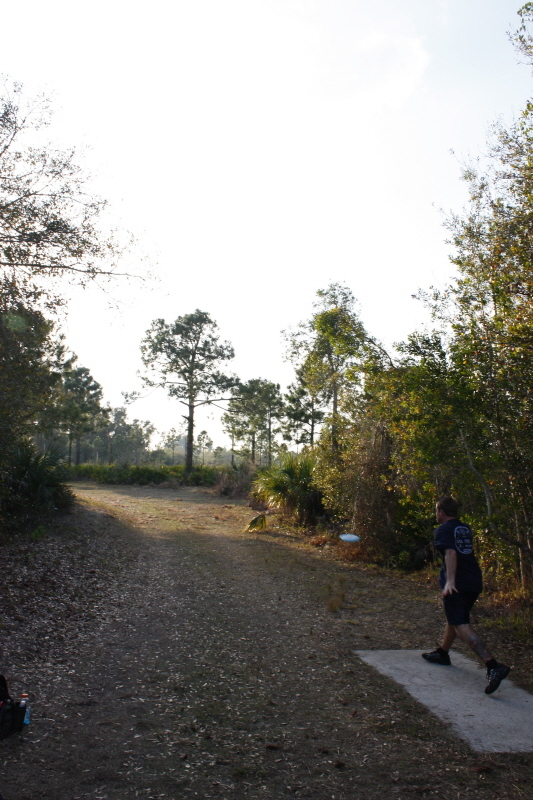 The original course is losing holes 1-5. There has been a 6 hole design on the north part of the park property and is currently under works with the course designers and Lee county. The original remaining holes are as well being worked on, to help make this course 110% better than what it was. 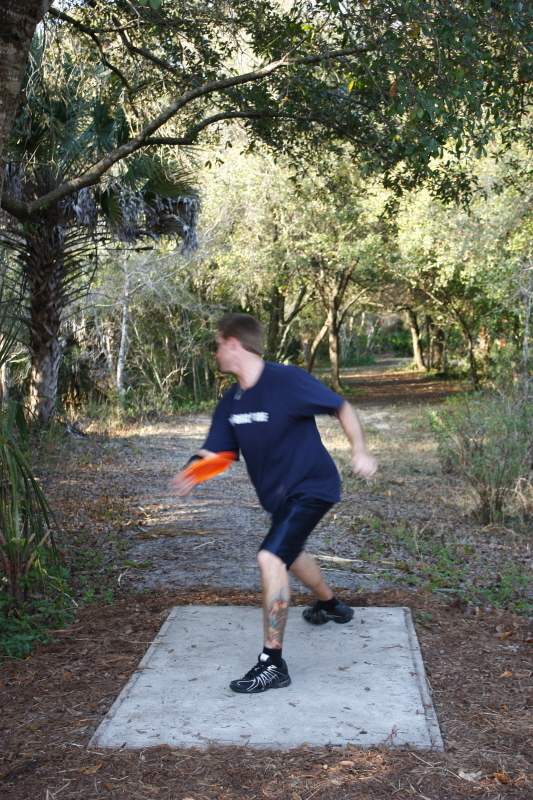 You'll no longer have to be afraid to play this course without a spotter. 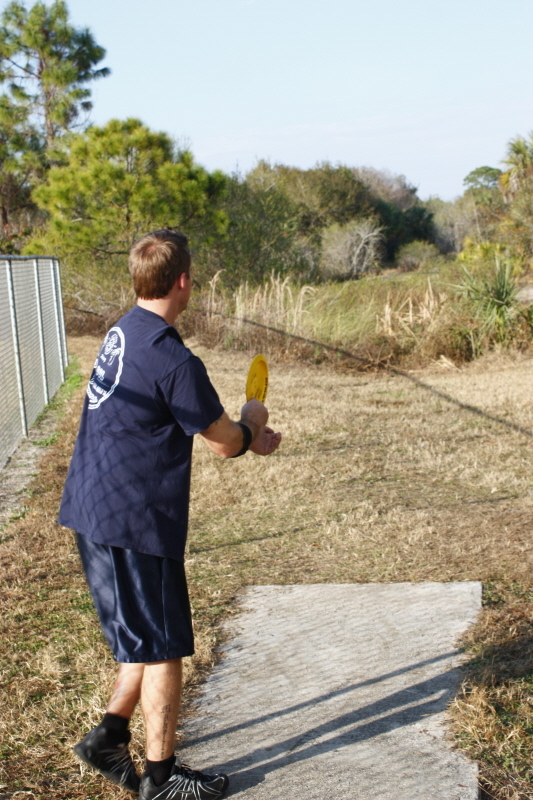 Look forward to showing this course to Florida discers and ALL disc golfers from around the world. Jesse A. Extremely tight with thick growth. For those nervous about what they might find while tromping through the scrub brush of southern Florida (snakes, gators, fire ants, etc. ), it would be advisable to avoid this course.